Olymp Trade Updated Review 2019 – a Scam or Legit Broker? 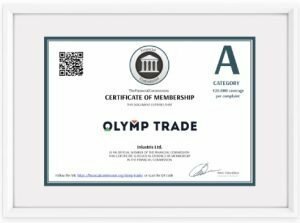 Olymp Trade: a scam or legit online digital options broker? What makes Olymp Trade stand out? What are Olymp Trade’s drawbacks? Should you consider opening a digital options trading account with OlympTrade? Olymp Trade is an online digital options broker based in St. Vincent and the Grenadines. The registration address can be found in the User Agreement. Launched in 2014, it’s one of the fairly new digital options brokers from St. Vincent and the Grenadines. In February 2016, Olymp Trade became a member of the International Financial Commission (FinaCom) and was awarded a membership certificate. As a third party regulator, FinaCom’s role is to offer traders security against fraudulent brokers. Olymp Trade is currently refocusing its business on the emerging markets of Asia, Africa, Latin America and the CIS countries. One of the main reasons for such a shift in priorities is the forthcoming changes in Russian legislation. In that connection, Olymp Trade decided to stop new clients from Russia from registering on the platform, starting on December 26, 2018. Being fully regulated is one of the main factors to look at when trying to determine whether a digital options broker is legit or a scam. As a trader, you want to know that your funds are insured and, any problems you encounter while trading on a particular platform will be resolved. The fact that Olymp Trade is regulated by FinaCom shows the lengths the broker has gone to in order to earn traders trust. During our investigation into the broker, we came across a claim by one of their support staff saying they’ve already applied for CySEC certification. But to date, there’s no mention about being regulated by one of the better known authorities. with the well known regulators. 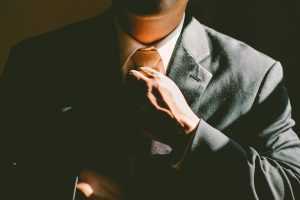 This regulator offers traders legal assistance in case traders launch a dispute against any broker registered with them. Being a member of FinaCom is a good indicator that Olymp Trade is a legit digital options broker. FinaCom offers traders legal assistance in case traders launch a dispute against any broker registered with them. Traders are offered up to $20,000 from the Compensation Fund in case their complaint is found to be valid. As a trader, you’ll want to know that your deposit is insured and can be recovered in case your broker goes rogue. typically answer emails within 24 hours and provide directions on how your dispute will be settled. If you’re not satisfied with their solution within 14 days, the broker allows you to file your complaint with FinaCom. We always recommend that you start trading with a fully regulated broker since risk of losing your money is minimal. One thing that makes Olymp Trade stand out is their membership with FinaCom. FinaCom’s main role is to keep its members in check and protecting trader’s investments. If you place a complaint with Olymp Trade’s support staff and it’s not resolved within 14 days, you have the right to contact FinaCom and have your dispute resolved. This check ensures that trader complaints are handled fast and professionally. Olymp Trade also offers an easy to use demo account credited with 10,000 virtual cash. 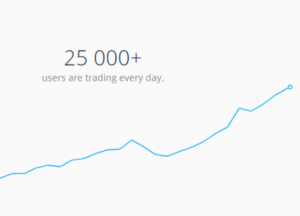 This makes it easy to learn how to trade on the platform without risking your own money. The demo account can be replenished in case the balance drops below $5000. The Olymp Trade platform is accessible in three ways. First, there’s the web version which you can access through their main website. Second, there’s the desktop application for both Windows and macOS. This app has additional features to those you’ll find on the web version. Finally, Olymp Trade can also be accessed through mobile apps for both iOS and Android Smartphones. If you open a real cash account, you can place trades worth as little as $1. You don’t have to risk huge amounts on a single trade enabling you to better manage your account. financial instruments on offer. These include 36 currency pairs, 6 commodities, 10 cryptocurrencies, 2 cryptocurrency pairs, 10 shares and 10 stock indices. These might seem a few. But for the beginner trader, investing with a few instruments usually offers the chance to learn how to trade before they can comfortably trade many assets at once. Olymp Trade offers unique features which make it worth considering. Upon opening an account, you can start practising using the demo account that’s credited with RUB 10,000 virtual cash. This means that there’s no obligation to start using your own cash to trade. The minimum deposit allowed is $10. This is quite fair given that many brokers require deposits of hundreds of dollars. The minimum amount you can place on a single trade is $1. This again is a good thing if you don’t want to risk a huge amount on a single trade. The maximum amount you can place on a trade is $2000. pop up button that directs you to all training materials and instructions regarding the specific indicator. Besides the demo account, Olymp Trade also includes a number of learning resources. 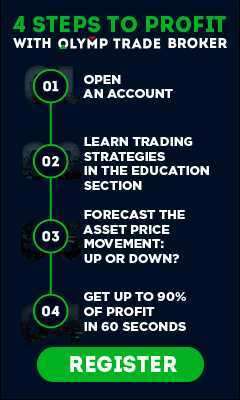 Traders have access to webinars and interactive courses which teach them how to trade financial instruments. The webinars are created and updated in an almost daily basis. You can also choose between 2 account types; a regular account and VIP account. The VIP account gives you access to extra perks like a personal trading consultant and daily market reviews. Your withdrawals are also processed faster usually taking less than a day. New account holders are offered bonuses. However, you still reserve the right to reject a bonus. holders. This is quite high compared to competing brokers. VIP account holders also gain access to trading signals and recommendations as well as a personal consultant. Traders also get the opportunity to increase profits through the contests and special offers that are regularly provided. Currently, there are 77 different assets on offer. It’s a good trading platform if you don’t want to be overwhelmed by a huge collection of tradable assets. However, for more experienced traders looking to invest in a huge portfolio of assets, this can be limiting. The trading interface comes with special buttons at the top which make it easy to find a specific asset. In addition, you can choose a single asset or, select an entire group of assets. For example, you can choose to trade Bitcoin only, or use the selector functionality to select all cryptocurrencies on offer. This functionality comes in handy when you want to analyze the price movements of all assets in a group before deciding which one to trade with. Olymp Trade also offers only one trade type (call/put digital options). This can be quite limiting for experienced traders also. However, the call/put digital options trade type makes it easy to predict how a trade might go as well as get out of a losing trade fast. You can also cancel a trade before the expiry period limiting losses. The chart timeframes can be set manually. The timeframes range between 15 seconds to 1 month. This comes in handy when you’re tracking an assets price movements over a given period. The website is well designed and easy to navigate through. The layout is intuitive and isn’t cluttered with many different charts and tools. If you need to access technical tools, you can do this via a “technical analysis” button available on the trading interface. Besides a computer or laptop, you can easily access your Olymp Trade account via mobile app. The Olymp Trade website is available in English, Russian, Indonesia, and Thai among other languages. Real or VIP account holders can deposit funds via wire transfer, credit card or e-wallet. Withdrawals can be made through the same channels. The platform doesn’t place a cap on the total amount you can withdraw. All withdrawals are free enabling you to keep most of your earnings. Each withdrawal request is processed within 24 hours and depending on payment method, it might take up to 5 business days to receive your money. 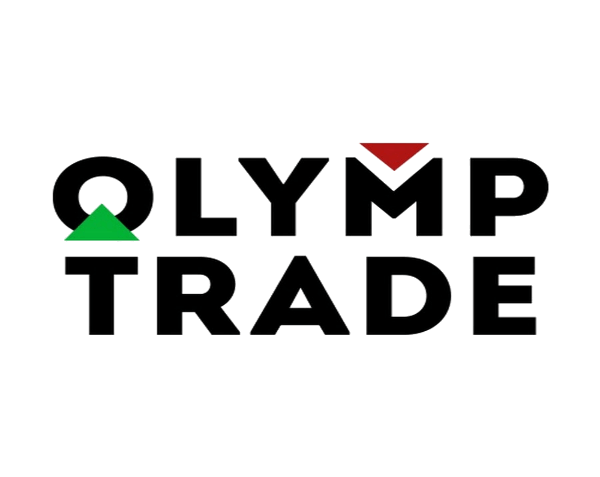 OlympTrade customer support team can be contacted via email, online chat or phone. You can also contact them via their social media accounts. Combing through different forums and websites, we found that many traders rated Olymp Trade positively. However, our research was limited by the fact that many comments regarding the broker were in Russian. We did manage to translate a few and one complaint caught our attention. The complainant claimed that he’d placed two exact trades on different computers at the same time. The results of the trades upon expiry were different. We cannot verify the validity of this claim. Another notable complaint we found explained that prices displayed on the demo account and real account were different. This is quite common among brokers and slight delays in price changes are usually expected. years, they have increased their assets offering and attracted traders from countries primarily in India, Pakistan, the Middle East, North Africa, Latin America and Southeast Asia. The broker cannot offer its services to citizens from many countries including the US and many European nations. Other than that, we found that it is a good place to trade. with many useless features and has intuitive buttons and tabs that make using the platform easy. The platform is also available via mobile app allowing traders to access their accounts from almost anywhere. New traders are provided with a demo account that’s loaded with RUB 10,000. They’re also provided with several learning resources that include video, webinars and a downloadable eBook. Information regarding how to use the platform is provided in a variety of pages such as the FAQ and terms. These resources are available to everyone regardless of the account type they hold. Important update: Olymp trade has increased the number of tradable assets from only 13 to 77. This makes Olymp Trade comparable with their competition and makes it a very interesting broker to start trading. They do not only offer digital options but also Forex, cryptocurrencies, commodities, shares and stock indices nowadays. Their forex offering includes 36 of the major currency pairs. Forex traders are treated to leverage of up to X200 which makes it easy to significantly increase your profits (or losses). offered leverage of up to X10. Olymp Trade is focused on offering short term trades. Traders can hold positions for as short as 15 seconds of as long as 1 hour. 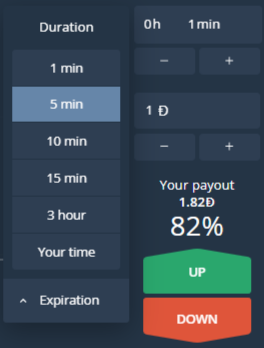 The interesting thing we found with this platform is that rather than have specific trade expiry times provided, you can actually type in your unique expiry period. This gives you more control over how long a trade should last. Another good feature is that you can cancel losing trades to minimize losses. You can place a trade by placing a trade order in two ways. First, you can place an order when the asset reaches a pre-specified strike price. For example, if you anticipate an assets price to rise, you can set the platform to automatically place a buy order when the price hits a certain point. Second, you can place a time limit order. For example, if you anticipate the assets price to start rising in the next 5 minutes, you can set the platform to automatically place a buy order in the next 5 minutes. Volatile markets such as cryptocurrencies are quite unpredictable. Trends can reverse suddenly. In such scenarios, you’ll want to take your profits before a winning trade turns to a losing one. On the other hand, you’ll want to limit your losses in case your speculation wasn’t correct. Olymp Trade provides features for this. These features can be manually set using the settings section in your personal account. Olymp Trade does not charge commissions or fees on trades placed or withdrawals. This way, you get to keep most of what you’ve earned. Their effective returns are also quite good. Standard account holders can up to 80% on successful trades while this goes up to 90% for VIP account holders. Olymp Trade offers two account types. The minimum deposit amount for standard accounts is $10 while that for the VIP account is $2000. This is quite low compared to what’s required by many competing brokers. The minimum amount invested per trade is $1. Traders can withdraw their earnings via wire transfer, credit card, Bitcoin or e-wallet. Withdrawals are processed almost immediately but it will take up to 5 business days to receive your money. One thing we like is that all payment processor fees are handled by the company. In addition, there’s no set maximum withdrawal amount. This digital options trader offers traders bonuses upon sign up. The bonus amount you’ll receive depends on the amount you deposit into your account. Traders can cancel bonuses. If awarded a bonus, you’re required to achieve a turnover of X25 before you can actually withdraw it. I personally have very good experience with Skrill. I recommend using this Digital wallet because of their very low transaction fees, and their secure safety. Click the link to check it out. Although primarily targeting traders from Russia, Olymp Trade is available in more than 7 different languages making it more accessible. The website also offers an assortment of useful trading tools and resources such as charts, indicators and many more. Being available via mobile app is also one platform specific feature we particularly liked. Simple to use and focused on beginner traders are words that can best describe Olymp Trade. The platforms limited number of tradable assets, rich learning resource and numerous useful tools make it an ideal place for beginner traders to start their options trading career. The broker primarily targets traders from Asia, Latin America, the Middle East and North Africa. Some countries are excluded from their service. However, not everything is bad about this broker. Their effective bonuses are quite high compared to competitors and the absence of any commissions or fees allows you to keep most of your profits. Olymp Trade is also a member of FinaCom. As a trader investing your money with this broker, you can rest assured that your money can be recovered in case the broker goes down. Finding a trustworthy online options broker can be difficult today. So how does Olymp Trade rate? We’d say that they’re a trustworthy broker. Not only because of their FinaCom status but also from the findings of the Verify My Trade audit. The broker has also received positive reviews from traders. Their offering is quite decent and there are no hidden commissions or charges traders incur on the platform. Overall, it’s a good broker for beginner traders. If you are more interested, click the link down below to sign up and check them out yourself. Check also our other digital option broker reviews. I never had a bad experience with this broker, but i just switched a view weeks ago over to IQ options. I have just made a little over 5k in my VIP account. I also made a withdrawal. I am so happy that they will let me withdraw my money without any extra charge. I’ve been trading for some time now, and Olymp Trade has been the platform I do this. At the initial time, I was able to run a demo account with virtual money, and it turned out good. I’m completely okay with their one trade type. Since I had a bad experience with my previous broker, I decided to make a switch. A friend recommended Olymp Trade, and I opted for it. Despite their limited tradable assets, I was sure to find something good to trade on without fear. Being a fan of short trading period, I enjoy the services of Olymp Trade as they offer as low as 20 seconds trade. I would advise all to contact — wealthrecovery94ATgmail(dot)(com) they helped me recover my invested money I had with 24option and Banc de Binary last week. 70k and 95k respectively for both companies I can’t help but post their services online. Olymp trade platform is user-friendly, in my opinion. Charts are easily scaled, you can look up any timeframe. The deal history is also very useful, and if you’re doubtful of correctness, you can always check the deal chart and clarify the result, comparing your graph with the resource, which you trust. You can also analyze your own mistakes. If trading goes well, you want to praise your broker. And, of course, a fine broker is not the last thing for successful trading. Olymp Trade justifies my expectations in this aspect. I successfully trade with currency pairs there and I am going to try with crypt. Recently, I’ve traded very successfully with crypto-index, and I’m going to try other currencies too. I’ve been trading on Olymp Trade almost successfully for about two months. And I didn’t hurry to make funds withdrawal, I was increasing deposit. Recently, I had to do it, so I placed a request for funds withdrawal. Well, of course, I was prepared to wait for a day min. and was very surprised when the money came in within an hour. Well, of course, I’ve passed verification before this. It was even faster after that. cons: bonus promotions are not very frequent. Olymp trading platform is great for short-term trading. The interface is very friendly, they provide an automatic protection of transactions. You won’t be able to lose more than you planned. On the other hand, short-term trading in a quiet market is not always possible. Perhaps that is why the longer time frames have emerged. Speaking about the changes, the broker is applying innovations quite fast. I’ve also noticed the explosive growth in the broker’s popularity, but the conditions remain democratic. I had a problem with a money withdrawal, so I contacted the support team for clarification. The problem was solved within 10 minutes. I came to this broker when I didn’t really understand how to make money on Forex. I opened an account due to the low level of requirements for deposits. Thanks to free webinars and reference system, I made a lot of progress in studying forex. I realized that I prefer classical forex unlike BO, cause I like positional trade more. 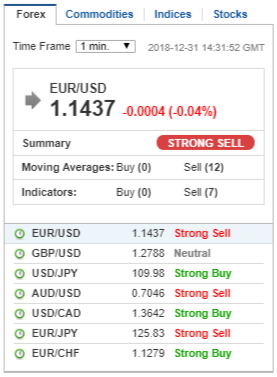 For example, in Forex, unlike binary options, I can close an order at any time without losing any part of my rate, and relying only on the profit at the moment. 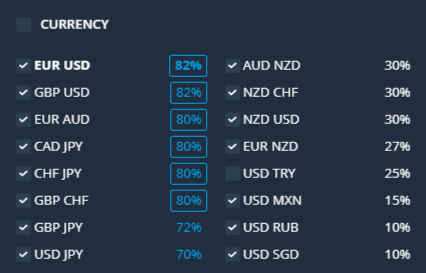 In general, the Olymp platform gives an opportunity to trade both options and currencies on Forex. That’s greatl! In terms of work, Trading Olymp Trade is excellent. I recently started working with him, but I was able to achieve good results, which can not but rejoice. I’m trading on forex and I really miss the notification function, such as sound signals for indicators which occur on certain events. Without it it’s pretty tedious to work, as you have to spend a lot of time waiting. Otherwise I find this broker pretty satisfying. If there’s any incident, the support treats the users very loyally and always tries to have an objective approach. For example, I trade both, via the mobile and the desktop version, i.e. on the duplicated accounts. I asked and was told that it’s possible. The main thing I liked here is that the broker is ready to help the trader in every possible way. Perhaps experienced traders won’t need this help, but I do because I’ve been in the market for less than a month. I’ve already learned things from numerous materials published on the website, now I’m trading with a small amount. I’ve managed not to lose anything so far, the platform that automatically insures positions with stops helps a lot. Honestly, I’m overwhelmed with assets choice, but it’s probably a good thing for experienced traders. Olymp trade is complete broker with some very use features and tools for traders which i think no other broker offer to its clients. Everyone can realize their capabilities on Olymp Trade, even those who have no experience at all. I think this is the best option for those who are just starting to work in this market, there are a lot of lessons here. I have a lot of trading experience already, I’ve been trading with this company for the seven months. I’m thinking about switching to VIP service, the offers like trading signals and strategies there are very tempting. I’m trading profitably for now and have already withdrawn money, there are no problems with this. I work mostly with daily charts, for intraday traders there are many time frames, so it’s very easy to analyze charts. The trading platform is good, this is the first thing I noticed and I’m still almost completely satisfied with the choice of broker. For complete happiness, I would like the opportunity to see on the screen not one, but several different charts. It’ll be easier this way to track trends and analyze the current situation. I’d also like to increase the time limit for orders on forex and the number of assets on this platform. The Elimp Team is a professional Carbond robber that manipulates Cannells in their own favor. Finally, I have gotten back all my lost fund and bonus from CFD stocks. They stocked all my trading capital and deprived me access into my account for over two months now after I’ve invested $80K with them, my hard earned money. Thought I was not gonna see this day, but as God may have it, today I’ve got back all my money back for real. I will forever remain grateful to God. If you’ve been locked out from logging into your binary option trading account or you are unable to make withdrawal from your broker account, maybe because your broker manager is asking you to make more deposit before you can place a withdrawal and you need my assistance, kindly get in contact with me at felixivor61@gmail.com and I will guide you on steps to take to regain access to your account, make withdrawal freely and easy, as well as recover all your lost fund.